The gaming world is witnessing a swift change generating billions of US dollar as revenue last year, from all indications, it has the potential of escalating into trillions of dollars in future times. Because of the high number of game-lovers all over the globe, the figure may grow in leaps within the span of a year. The surge in both the number of game-lovers as well as developers is however accompanied with one major problem which is selling the latest developed game to consumers in a unified content-sharing platform regulated by large corporations. As a result, therefore, developers spend large sums of cash to fund such centralized game sharing corporations and online advertising forums with huge crowd attention at their beck and call. Developers use about half of their profits in building marketing and sharing networks’ and on the average spend up to 15 USD trying to sign a new player. This accounts for the inconvenience in location for new game developers to grow, reduces the time for content building and its release, and finally serves to favor the large companies hosting the services, taking the game builders to the extreme while centralizing content sharing and creation. Eon platform is a blockchain technology network that seeks to redress these anomalies. 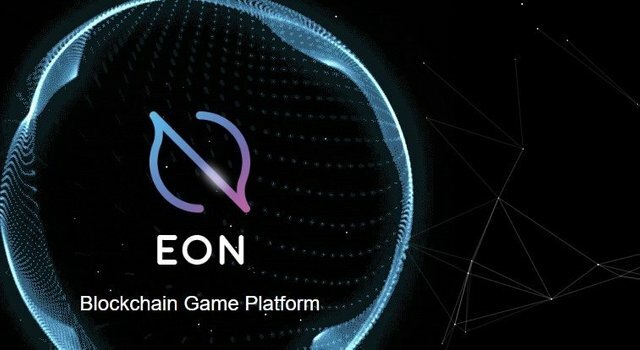 EON is a decentralized game sharing platform where developers can develop game for participants. The users can play games and interact with other gamers and share games as well. The platform makes use of blockchain technology to track games, qualifying it as a safe and reliable ecosystem for gaming. The referral system is an integral part of the EON platform and it is premised on blockchain and fashioned as to attract new users to the platform. Again, users on the platform can make use of this system to transfer traffic on across the platform. Individual user on EON platform will be issued a custom referral link saved on blockchain. Each time they direct a new user to the platform to play game there for the very first time, they will be compensated with EON tokens for adding to the development of the entire ecosystem. However, game developers are free to personalize the referral link with a more user-friendly interface to compensate the gamers for adding new uses to the platform from an external source or even within the EON platform. The compensation given can be altered manually or programmed with algorithms. Every referral activities are saved on the blockchain and changeable by everyone. That’s why exchanging details on the platform is more reliable and efficient. For advertisement platform owners and promoters, they can opt for smart contracts they like to work with and as they can introduce greater traffic, their compensation will be higher. At the pre-sale of EON coin, the EON, the total release volume is 240,000,000 EON token. The ticker for the token is EON and it is an ERC20 standard type token whose total number is 2.1 billion EON. At the Token Generation Event, 1ETH equals 21000 EON and 1 EON is equal to 0.0280 dollars (0.00004760ETH).The soft cap is 30,000 ETH while the hardcap is 100, 000 ETH. The public sale for the tokens is billed to start in July 2018. By decentralizing online gaming system, EON presents a platform where gamers can find out, share and interact with other gamers. The platform is driven by blockchain technologies and it is more intuitive, reliable and has a worldwide appeal. This is a well written review of a wonderful project. The platform features wil see it stand out from the pack. Gaming will be a lot better with EON cause of the benefits users stand to get. So bullish on this one. The gaming industry is plagued with the challenge of inefficiency and the inability for gamers and developers to communicate and share games effortlessly. EON is bridging this gap between them.